Mormon Church won’t leave Boy Scouts over gay leaders. The Boy Scouts of America continued the glacial process of hauling itself into the 21st century last month by voting to allow openly gay adult leaders, but the question remained whether the Mormon Church, far and away the largest single sponsor of scout units, would modernize with it? The church, along with other conservative religious groups, was not happy with the decision and threatened to break ties with the organization. On Wednesday, however, the Mormon Church announced it was sticking with the Boy Scouts. 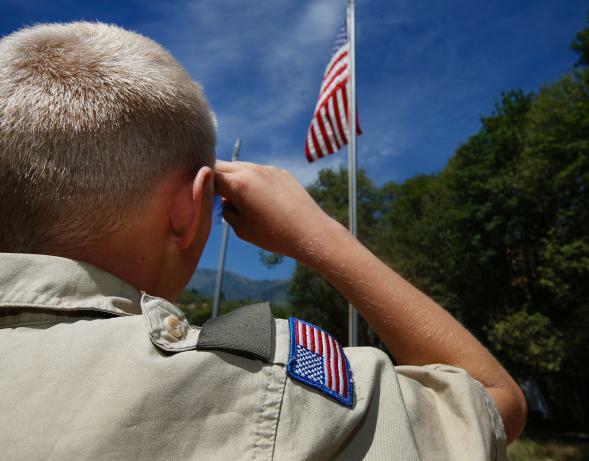 A compromise between the Boy Scouts and the Mormon Church will allow individual Boy Scout units to select adult leaders that share their religious beliefs. The church currently sponsors nearly 40,000 scout units, serving some 440,000 boys. The Mormon Church (or the Church of Jesus Christ of Latter-day Saints) made clear on Wednesday it is expecting that negotiated compromise to be upheld. “While the [Boy Scouts] insists that religiously affiliated troops, including those sponsored by the [Mormon] Church, can continue to ban gay leaders, some observers doubt such an exemption could be legally defended,” according to the Salt Lake Tribune.